Who Are The SororiTea Sisters? 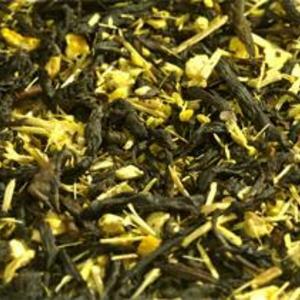 One of our sweetest and most popular herbal teas, Sunset in Seattle is a blend utilizing a myriad of herbs that are soothing and mellow. 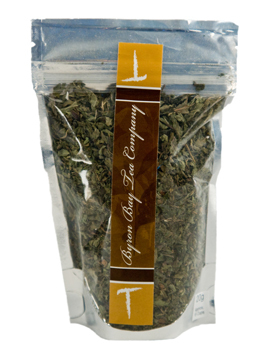 Ingredients: Rosehips, Vanilla, Chamomile, Spearmint, Raspberry, Lemon Grass, Hyssop and herbs. Contains no sugar and is caffeine free. Sunset in Seattle Tea from Market Spice looked much like the picture above thru the see-thru bag it came in but there was white powder heavily throughout the blend. For me not knowing too much about this tisane before trying it I was confused by the powder ingredient but quickly released it was the vanilla within the mix. The vanilla ‘powder’ is powerful and very nice smelling. The overall aroma consists of Chamomile, Mint, and Vanilla. The color post-infusion is a cloudy gray-orange-yellow type color. The taste is minty but floral…Herbally yet smooth…lemony yet vanilla….this is odd but lovely. It’s interesting and surprising! I ended up REALLY liking this one! The aftertaste is minty yet sweet! Opposites completely attract in this case…and it makes me grin from ear to ear! I especially liked the vanilla and minty notes! 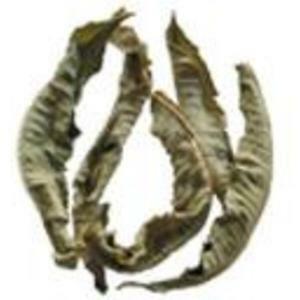 Roasted dandelion, chicory root, and sarsaparilla root get you started towards Root 66 Tea. 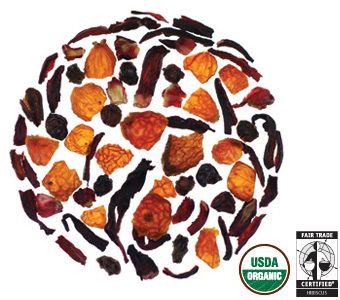 Creating a robust and dark infusion, this herbal tea exudes a mouth-watering natural earthiness. Good for your liver, Root 66 Tea also twists in a bit of the exotic: the lively sweetness of coconut and the slight chocolate taste of carob. With lingering licorice airiness, this herbal makes a fantastic coffee substitute or a dessert tea! Ingredients–Sarsparilla root, chicory root, roasted dandelion root, carob pods, cinnamon, fennel, crystal malt and coconut. I’m sure I’ve mentioned this before, but I’m always a little leery of herbal blends such as this. I’m always afraid that they’ll taste too medicinal for my personal taste, so I find myself always putting off trying them. And I am really sorry that I put off trying this one as long as I did, because it’s rather tasty! It has a sweet, root beer-like taste to it which is enhanced by the spices and malt. It has a slightly roasted taste to it too, and I like how the coconut and sarsaparilla taste together. It’s really much better than I imagined it would be. 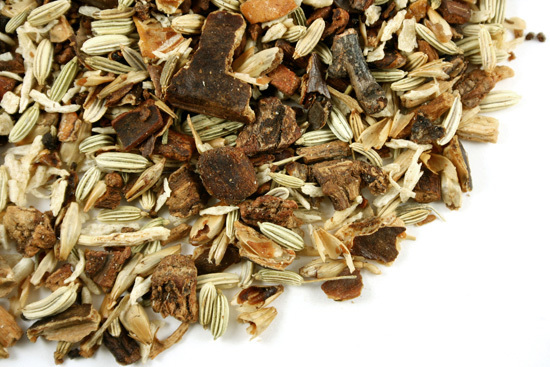 The Sarsaparilla root gives this tisane its root beer taste. The licorice-y taste of fennel and the cocoa notes of the carob enhance the sweetness of this cup while the cinnamon gives it a nice warmth in the background. There is a roasted note to this as well from the chicory and roasted dandelion root which adds depth to the cup. But what really makes this tisane special is the coconut. I love the combination of flavors – it’s sort of like a chocolate and coconut flavored spiced root beer! 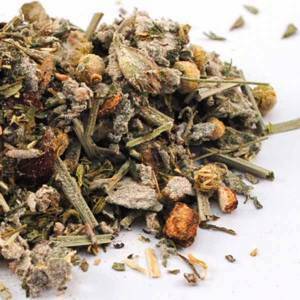 This tisane has a little bit of an herbal/medicinal aftertaste that I would define as almost peppery – it’s the dandelion! However, this aftertaste doesn’t linger very long. And because I enjoy the flavor of the tea so much, I can overlook the aftertaste. 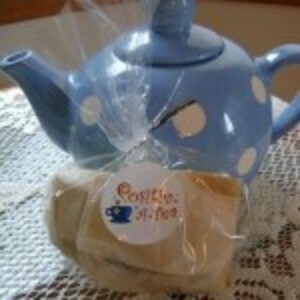 I am sipping this now as a hot beverage – it is cold and wet outside and I am enjoying the warm, cozy comfort of a hot tea, but I think that this blend would be even better iced – it would be a great substitute for soda! Just a little pinch of sugar will enhance the sweeter notes and make it an irresistible treat for the kids. It’s naturally caffeine free, so there’s nothing to overstimulate them, either! Luscious currants and delicious forest berries complement this fruity and balanced blend with a wonderful scarlet red infusion that refreshes and rejuvenates. As I’ve said on several occasions, I’m not a big fan of hibiscus. Generally speaking, it is too tart for my personal taste. But, I know that some people out there love the stuff (otherwise, the tea companies wouldn’t be selling it, right?) so when I decided to give this tisane a try, I did so on the premise that I would be fair and objective about the tisane and try not to let my own personal feelings get in the way. But you know what? I’m actually enjoying this! I am surprised that I am actually enjoying it. I steeped it for just five minutes. I find that steeping hibiscus-laden tisanes any longer results in a very thick, syrupy, tart cup. But, five minutes is just long enough to extract flavor and a little bit of body out of the hibiscus without going overboard on the tartness. And while this IS a tart tisane, it isn’t too tart. I don’t pucker up when I take a sip, but I do feel that sourness hit the back of my tongue – and its ALMOST a pucker. I did add a dollop of honey and I am sure that helped to curb the tartness a bit, but it also did something else too; it added definition to the blueberry, currant and mango flavors. So, it just goes to show you, don’t let the name of a tea affect your decision to try it. If I had done that, I wouldn’t be drinking this tea right now, and I am liking it! This IS pretty pleasant! I’ve VERY shocked and surprised that the level of hibiscus is what it is! As it cooled – I could taste more tartiness so I will drink this HOT! If you are after the fruitier or tartier flavor you might like it cooler. The Lemon Balm follows it as far as ingredients that pop out a little more than the others but the one that lingers is the Lavender and it’s a pretty lavender as well as a little chewy…if you can picture that!! The rose and Orange are about equal in taste-intensity and that is subtle. This is pretty and sassy and different all in one…I think it’s a neat blend and tastes alright! If you are looking for a positive blend and something that is positively unique…give this one a whirl! Did you just eat and eat and eat? And then eat some more? 2000 years of ancient Chinese wisdom suggest you try this organic blend. It contains oolong and pu’erh teas, both reputed to speed your metabolism and block fat absorption after a heavy meal. Plus it’s got ginger and ginseng, two more traditional metabolism uppers. So go ahead, drink up. The only thing you’ll gain is wisdom. This tea takes a while to infuse before the true color appears. Dry…I thought this first smelled like Orange Cream and then I thought it was more of a Fruit loops/Orange aroma. Post infusion – it smells more like a woodsy/orange. The taste is flatter than I thought it would be. I would say more Oolong than anything else and then a share of orange taste. I can’t really taste the Pu-erh, Ginseng, or Ginger much…which is ok with me but maybe not-so-good for those specifically looking for those ingredients, I suppose. Overall the taste of this one is pretty good! As far as me liking this tea – I do enjoy it – much more than I expected! It’s a goodie! Plucking Season: Verveine is typically Harvested towards the beginning of Summer, when in full bloom, and again in Autumn, just before the cold weather sets in. Introduction: Also known as Lemon Verbena and Verveine Odorante, Verveine is a fragrant herb indigenous to South America, namely Argentina, Chile and Peru. It was introduced to Europe by Spanish explorers in the 17th century where it was given the name Aloysia triphylla after the princess Maria Louisa of Parma and for its spirals of three (tri) leaves (phylla). Verveine’s soothing yet refreshing aroma comes from its essential oils, believed to have a calming effect on the nervous system, aid digestion and relieve mild depression. Its therapeutic qualities are similar to those of mint, orange flowers and melissa. Verveine is a versatile herb and can lend its fresh, lemony aroma to any variety of teas, liquors, desserts and other culinary delights. Verveine steeps well in milk and makes an exotic addition to fine hot chocolate. Flavor Profile: Soft, rich lemony aroma and smooth taste. Refreshing and soothing. If you are looking for a nice soothing herbal tea that has lemon notes without the pucker try French Verveine from The Tao of Tea. This is a very lovely herbally-lemon…a very smooth and gentle lemon. Everything is mellow about this tisane…but isn’t that the point!? I know this is redundant but…it’s very nice and very relaxing! I think this would be interesting to cook with too! Perhaps with rice! YUM! I just might have to try that! A fresh, minty tea that is both cooling and invigorating. Enjoy any time of the day. This is about as simple as it gets, folks. It’s 100% pure, 100% organic peppermint leaf. Nothing else. It really can’t get any simpler than that, can it? Sipping Peppermint tea is a delicious way to relax after a meal. What I like best about pure peppermint tea like this one from Byron Bay is that even though it tastes crisp and refreshing – somehow, it doesn’t end up tasting like medicine-y mouthwash. It is (obviously!) minty fresh and herbaceous, but it doesn’t taste medicinal. It tastes natural – because that’s what it is. It is especially nice after eating something spicy, because it helps to cool the palate and leave it feeling clean! Peppermint is one of my favorite restorative herbs – I feel refreshed after I sip it, but because it is naturally caffeine free, I don’t feel too stimulated by drinking it. It is invigorating yet soothing! Nice!